Mending: Drop by with clothing items that need repair. We will mend your clothing items while joining in conversation, tea and chocolate. During our mending hours you can bring in your torn, moth eaten, well-loved clean clothes to 1805 gallery. You can sit with us while we mend your items, or we can teach you how to do some patching and darning. 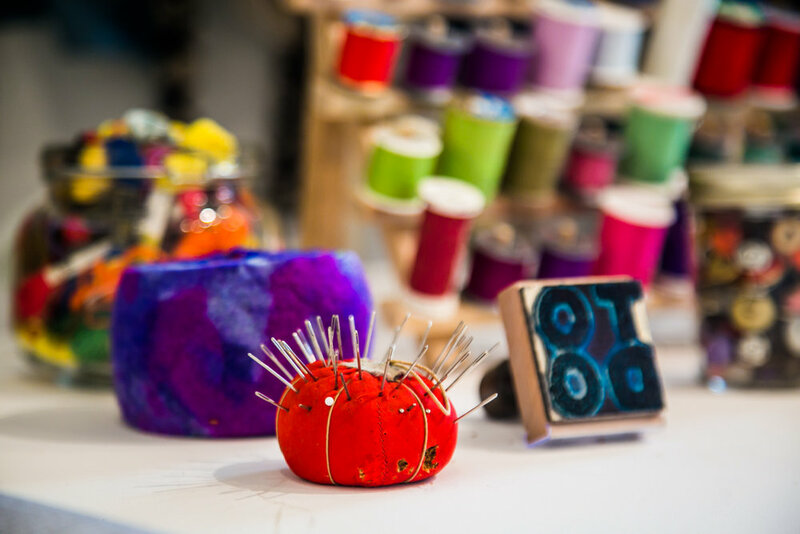 If you don’t have time to stay, drop off your mending by filling out our form at the gallery, pinning one part to your article of clothing, and you keep one. We are not professional menders, but we will certainly do our best.